By the early 1980s the Ontario Heritage Foundation’s easements program was well-established. But its scope, like the properties the Foundation owned and its other programs, was pretty much confined to cultural heritage. This was about to change. From 1975 the Foundation has had a broad mandate for the “conservation, protection and preservation of the heritage of Ontario.” “Heritage” was not defined; although, with respect to its “trust” objectives, the OHF was given powers to acquire, hold, manage, etc. property of “historical, architectural, archaeological, recreational, aesthetic, and scenic interest.” [Note 1] The power to acquire easements — a form of property — was not otherwise limited. Probabaly the key reason for this move was that the Foundation was the sole provincial agency with the power to acquire heritage easements. Seizing on the words "recreational" and "scenic" in its legislation — and maybe stretching them a little?— the Foundation embarked on its first forays into natural heritage. And the first natural heritage easement soon followed— the Misery Bay property, a 120 hectare (300 acre) forested wetland on Manitoulin Island bordering Misery Bay Provincial Park. The easement was registered in November 1983. But a heritage designation, as people soon came to realize, was not as strong as a heritage easement, particularly with respect to demolition. Until the 2005 changes to the OHA, designation offered only temporary demolition controls. Even now, a municipality’s refusal to approve an owner’s request to demolish can be overridden by the Ontario Municipal Board. So easements provided a further, practically iron-clad protection against demolition. Unlike a regulatory, designation approach, however, there needed to be a lever to compel… er, entice the signing of an easement agreement. And for a long time municipalities did not make use of the tools they had. The first municipal easements were mostly the result of provincial (OHF) grants for preservation projects: in cases of built heritage properties not considered to have provincial significance and warrant a Foundation easement, the grant was made conditional on both municipal designation and a municipal easement. Not surprisingly, municipalities needed the province’s help with satisfying the unfamiliar easement requirement — and in developing their easement agreements they relied almost to the letter on the Foundation’s prototype agreement. A big boost to municipal easement activity came in 2001, again because of provincial policy. The rules for the new Heritage Property Tax Relief Program, which incorporated a provincial financial contribution, included requirements for designation and a heritage easement or similar agreement. 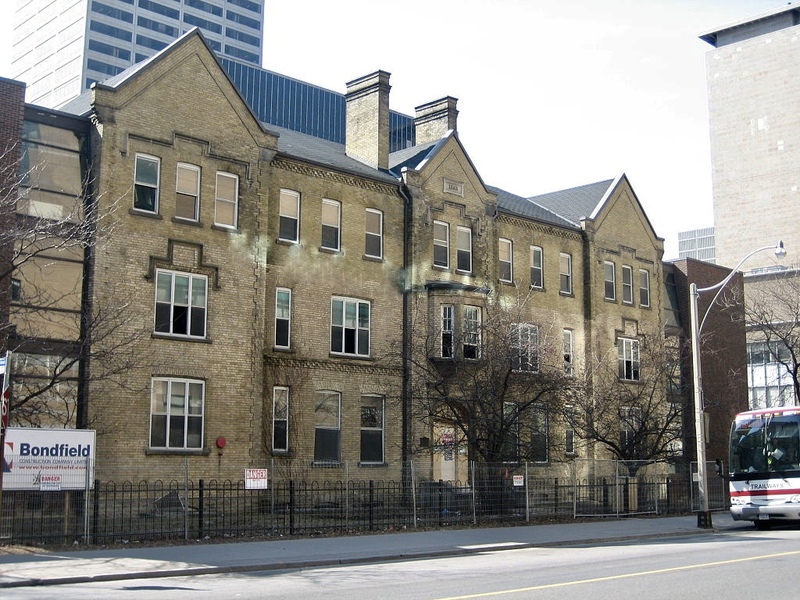 The City of Toronto, a leading advocate for the HPTR program, had been a relatively early adopter of heritage easements. In 1980, following two years of work, the former Toronto Historical Board developed a procedure for municipal heritage easement agreements. The first Toronto easements were signed that year. Since then the city’s easements program has really taken off, with Toronto entering into hundreds of built heritage easements, usually as a condition of planning and other development approvals. Other larger municipalities have followed suit. Next time: Who else holds heritage easements in Ontario? Note 1: Interestingly the word “heritage” did not appear in the OHF’s original 1967 Act, except n the name of the Foundation. “Archeological” was added to the list of types of property in the 1975 OHA; “natural” was finally added only in 2005. Note 2: Chief among these was G.H.U. (Terk) Bayly. Terk was a former deputy minister of the old Department of Lands and Forests, predecessor of the Ministry of Natural Resources, and had served as Secretary of Cabinet. He succeeded John White as chair of the Foundation in 1986. 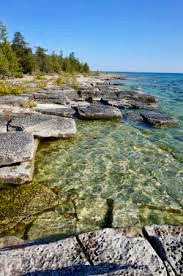 For more on the genesis of the Foundation’s role in provincial efforts to protect natural areas see Gerald Killan’s Protected Places: A History of Ontario's Provincial Parks System (Queen’s Printer, 1993), especially pages 313-315.